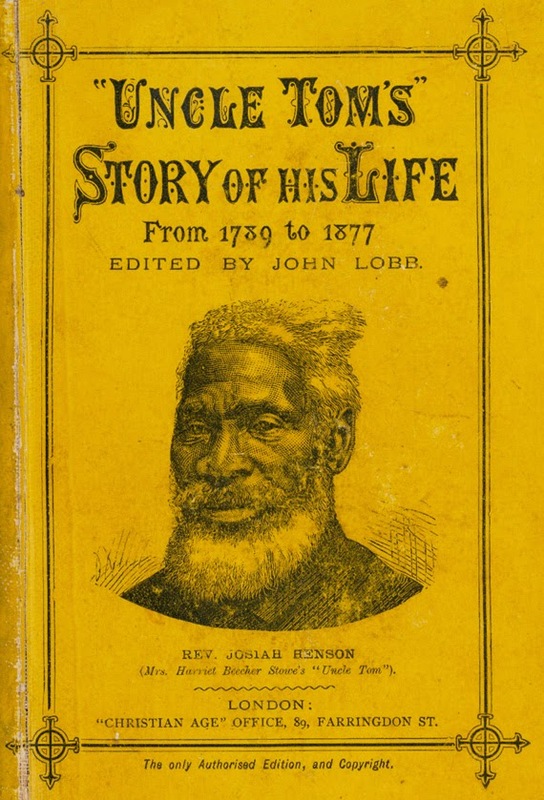 Henson (June 15, 1789-May 5, 1883) was born into slavery in Maryland. Over the years, he witnessed his father brutalized and all of his family, except his mother, sold off. He escaped to Upper Canada with his wife and children in October 1830 and founded a settlement for other fugitive slaves at Dawn, near Dresden in Western Ontario. Dawn prospered, with about 500 residents at its peak. They exported black walnut lumber and furniture to the United States and Britain. Henson became a Methodist preacher. Henson inspired the title character of Harriet Beecher Stowe's novel, "Uncle Tom's Cabin." Based on that fame, he also published an autobiography late in life. In his autobiography, he gives a brief account of his part in Upper Canada rebellion. "I was appointed a captain to the 2nd Essex Company of Coloured Volunteers. Though I could not shoulder a musket [because of his religion], I could carry a sword. My company held Fort Malden from Christmas till the following May, and also took the schooner Anne and captured all it carried, which were three hundred arms, two cannons, musketry, and provisions for the rebel troops. This was a fierce and gallant action, and it did much towards breaking up the rebel party, for they could not obtain provisions while we held the fort, which we continued to do till we were relieved by the colonel of the 44th Regiment from England. The coloured men were willing to help defend the government that had given them a home when they had fled from slavery." Henson did serve with the Second Essex Company on January 10, 1838, but his captaincy is likely an autobiographical embellishment. Typically, white officers commanded black companies in that era. 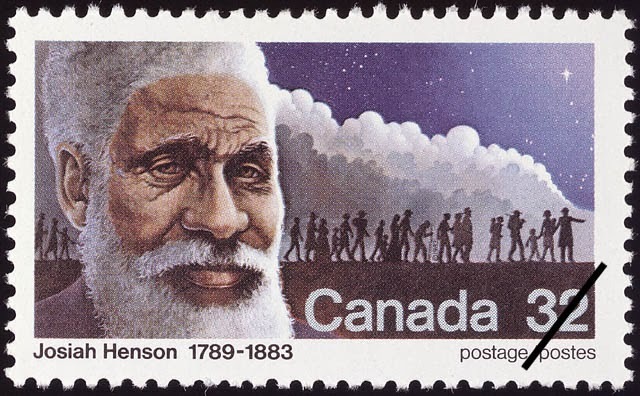 Henson is the first black man to have his portrait on a Canadian stamp. 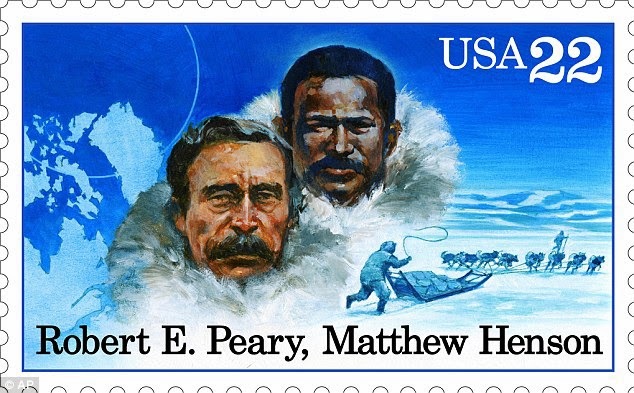 Matthew Henson, his great-grand nephew, accompanied Admiral Robert Peary to the North Pole in 1909, and had a US stamp in his honor.